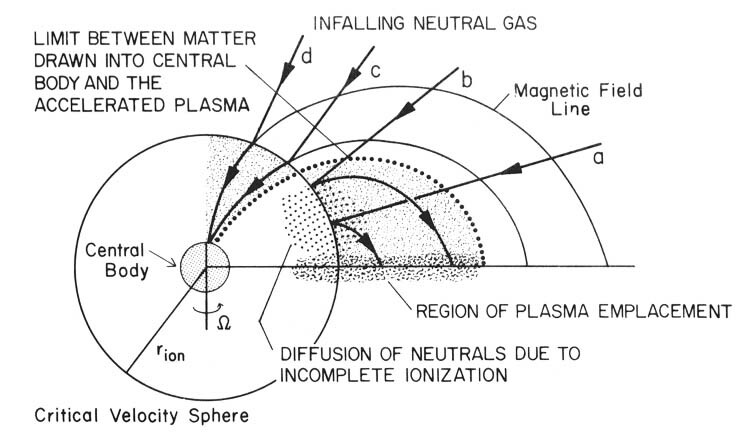 FIGURE 23.31.- Partial ionization of infalling gas. Small values of ( <20) imply an increase of the region near the axis of the central body from which matter is drawn into the central body. incomplete ionization at rion is also implied and diffusion of neutral gas toward the central body will take place. The result is a displacement inward of the region of plasma emplacement and a change in the mass distribution within a group of secondary bodies.